For the Rip,Mix,Feed activity, I collected Creative Commons images on Flickr. The six images were placed together and then reworked using the jigsaw puzzle feature found on Dumpr (http://www.dumpr.net/). 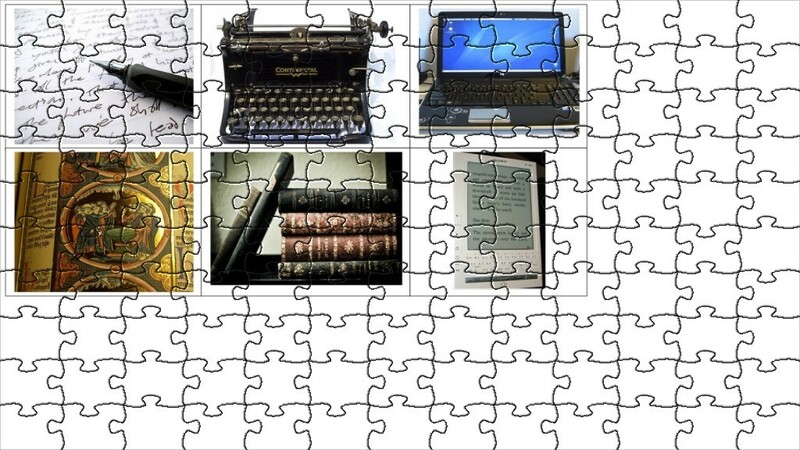 The images I selected represented pieces of the puzzle when it comes to reading and writing. I was tempted to include more images in the puzzle, but decided to stick to several key images to draw the point home and leave the final image uncluttered. The remaining spaces on the puzzle were left intentionally blank, in order to leave space for the future developments in the realm of communication related to reading and writing. I hope you enjoy my image. This entry was posted in Rip.Mix.Feed and tagged images, Jung, reading, writing. Bookmark the permalink.